Turns out she had misplaced her new jacket, and she knows that the constant missing mitten/hat/coat debacle that lasts all winter really drives me crazy. However, by using a soft start-up, we skipped that part and got right to a plan of when and how she was going to try to find it at school the next day. Just like our kids can help us be better parents by telling us what they need, our employees and co-workers can help us be better teammates by giving us feedback on how we’re doing. One way to do this is through a 360 assessment. These assessments allow for feedback from a variety of colleagues, clients, supervisors, as well as the individual themselves (thus a full 360-degree view!). They help leaders and managers build self-awareness about how they are perceived in the workplace and learn where they might have blind spots. Just as it is important to bring thoughtfulness into traditional performance reviews it is key to successful 360 evaluations as well. The Thoughtfully Fit practice of BALANCE is about balancing your wants and needs with the wants and needs of another. However, in order to do that, you need to understand what those around you want and need! In the case of your kids or your spouse, you can just ask them. But in an uneven power relationship, such as work hierarchy, it can be hard to get honest answers. 360 assessments can give people a safe and confidential space to provide honest feedback without worrying about repercussions. You can also capture opinions from those who might be less likely to speak up on their own, or who aren’t quite brave enough to come forward without an invitation. 360 assessments are a great way to learn more about your team as well, but the person being assessed has to commit to embracing it as a learning experience. Any effective assessment should always include a plan for how the input is going to be shared and presented, as well as clarity on the goal for the overall process. You will want someone who is trusted by the subject and a (relatively) neutral party to help deliver the findings, set priorities for improvement and create an action plan. Make sure there is a system for monitoring progress and finding ways to incorporate feedback into future evaluations. This is where several months of coaching can create a safe structure for the employee to integrate the feedback and improve their performance. Effective teams need strong communication and mutual respect. By building your awareness around the role that you play on the team, and how you are perceived, you can work towards interacting with others in a way that serves their needs as well as your own. 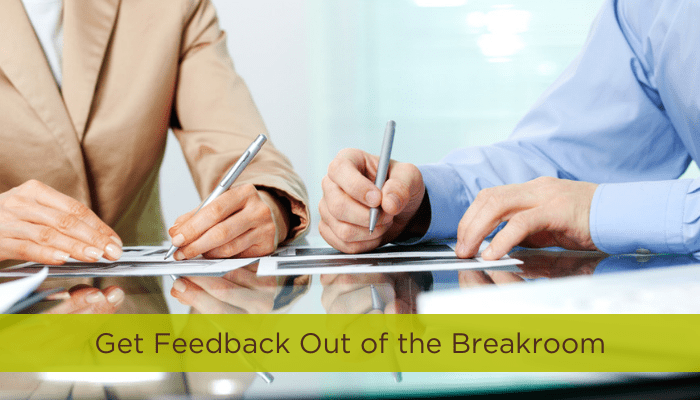 Incorporating constructive feedback at all levels of the organization can build this awareness and create a culture of continuous improvement. Try a 360 today (possible link to Hogan on website). Whatever you do, don’t forget your mittens.